Hey guys! It's been a minute since I have done a nail-of-the-day (NOTD), so I figured I would share with you a polish I have been lovvvvvving lately - Swan Street by Nails Inc. 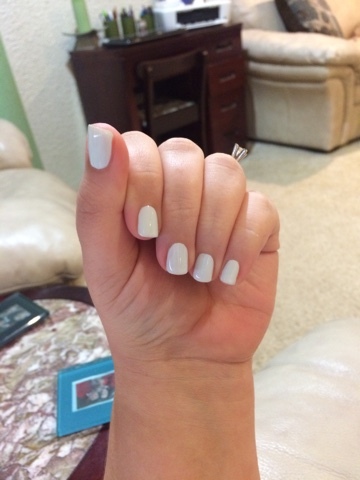 I absolutely love white nail polish, but even more I love almost white nail polishes. 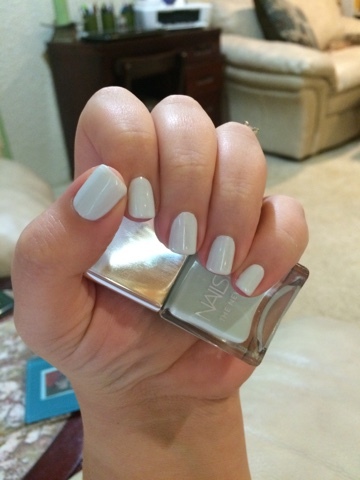 Super pale polishes that have just a hint of color look incredibly chic on the nails, and Swan Street is glorious! At first glance this looks like a creamy white varnish, but within a couple of seconds you start to see the hint of green that it has. I am crazy about this stuff. My favorite white polish of all time is Floral Street by Nails Inc, and I think this brand has nailed it on the head when it comes to creamy/pale polishes. These polishes go on so easily, the formula isn't streaky, and I really don't experience any issues with chipping or flaking. LOVE. For this manicure I did two coats of Swan Street and one coat of Seche Vite top coat. Complete opacity, creamy/shiny finish. Ugh. So perfect! On their site they describe Swan Street as an iced mint and also a modern take on white. I think this may be limited edition, so if you are interested in trying this out I would order it asap. I got mine from their website where it retails for $14. This color is so different and unique, I thought I would photograph it next to a couple of polishes most of you would be familiar with. 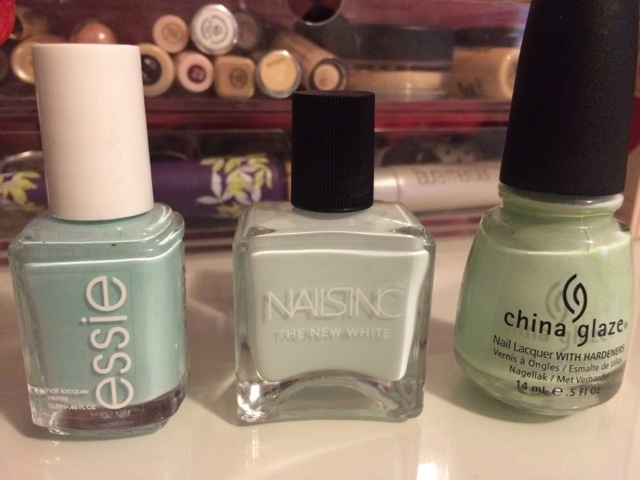 To the left of Swan Street is Mint Candy Apple from Essie and on the right is Refreshmint by China Glaze. And while Swan Street is a pale whitish green, it definitely looks more blue when sitting beside of a green polish. To me this looks like a much whiter version of Mint Candy Apple, as it's definitely in that color family. If you have any questions just let me know! Thanks for stopping by today and have a great weekend! 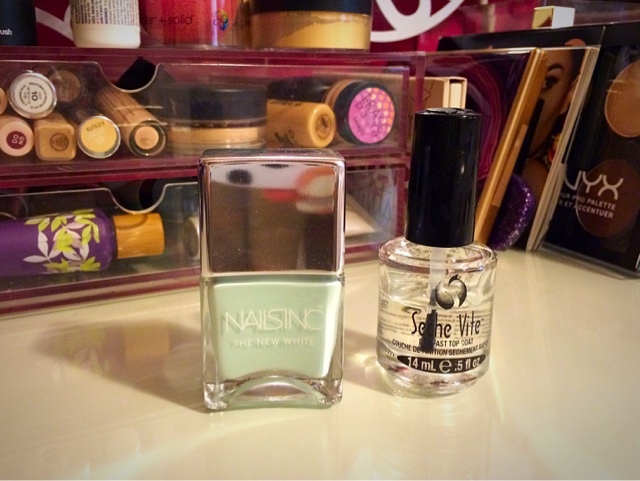 Favorite Summer Nail Polishes 2015! Birchbox July 2015: Go Bold! FFFVIP: FabFitFun VIP Box Summer 2015! Small Drugstore Haul July 2015! DIY Flag Nails: 4th Of July Manicure!